I was interested to read a letter to the Editor recently in our local paper … ” what is going on with so many cyclists in Newcastle at the moment?” and although the writer was not in favour of cyclists who rode too many abreast on the footpath, I liked that he made the point that the number of cyclists here is increasing. Good news! There will also be an event tomorrow that promotes bike riding, Bike Hour. This movement was originated by our own Dr Behooving, it will take place from 6pm in your local time, it is a worldwide movement and, weather permitting, I will take part in it, video camera in hand, providing the weather does not take a turn for the worse (at the moment it is raining and more rain is forecast). Hopefully there will be plenty of other cyclists for me to video …. 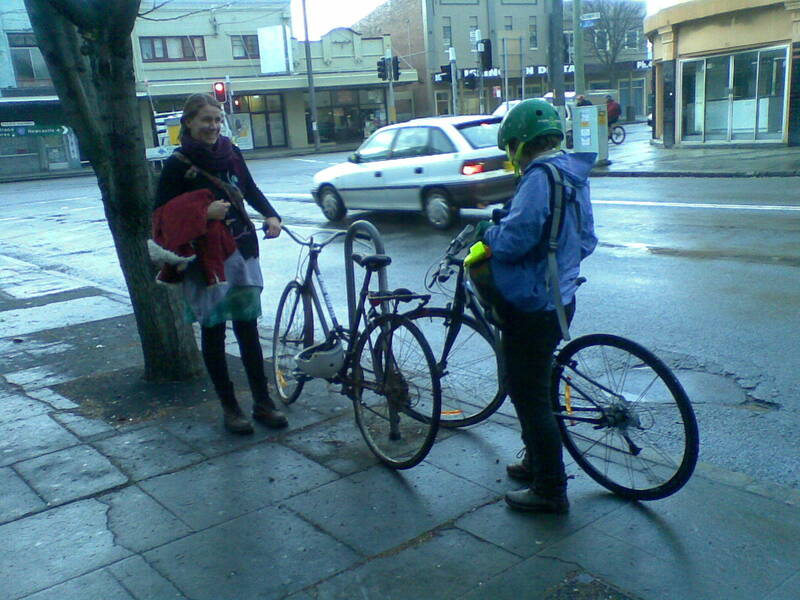 This entry was posted in activism, bicycle culture and tagged newcastle, women on bikes. Bookmark the permalink. I was reading my current issue of Rails to Trails magazine and there is a photo expose on Australian rail trails. The featured, among others, the Fernleigh Track. Fernleigh is really famous in cycling circles and rightly so as it is a long trail with very little interruption in terms of stopping for roads, beautiful bushland and fairly flat.